Eprom Upgrade Availble from Analogue No. I started taking my jx-3p on the road this year, but very reluctantly. I purchased this so I could leave the JX-3p at home. 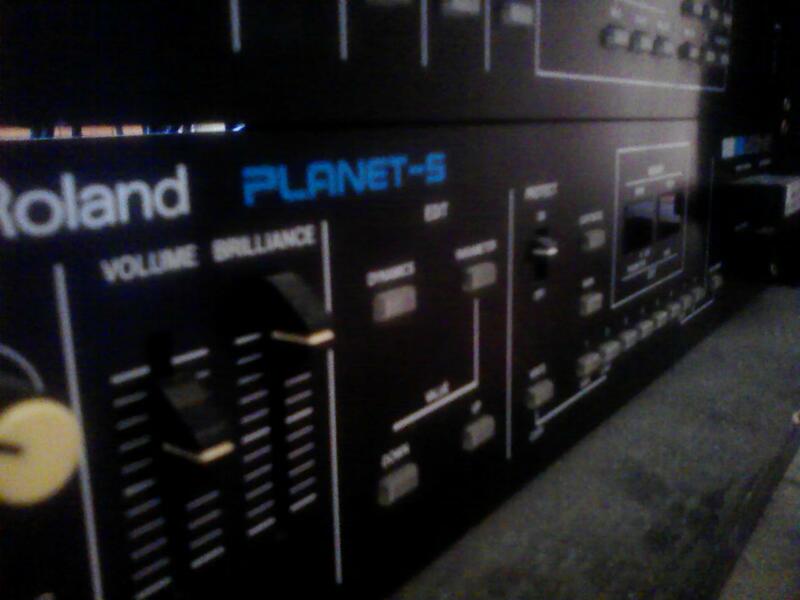 There are some definate plusses with the planet s. It has velocity, programmable MIDI channel, and the possibility (after an EPROM upgrade) of MIDI SYSEX! The one thing I will miss is the fast random LFO that the JX-3p has and the MKS-30 does not, but really the trade-off is in favor of the MKS-30. But after careful inspection the sound of the MKS-30 is VERY different from the JX-3p. The sound is warmer, but in some ways I really like the brittle sound of the JX-3p. There is no doubt that they are from the same family but more like siblings than twins. With the EPROM update (which I hope to buy in the next year or so) you can back up your patches with SYSEX, do parameter CC's on the fly and (I really like this !!) choose a split point for the module to play above or below. This is a great boon if you layer sounds with your controller but only want the mks-30 for the bass or whatever. There are some Mod's for chorus speed, but you have to give up the HPF, which I use alot for resonant sounds. I think this is a great purchase. It also came with the MC-16 cartridge with the factory sounds on it which is really cool. 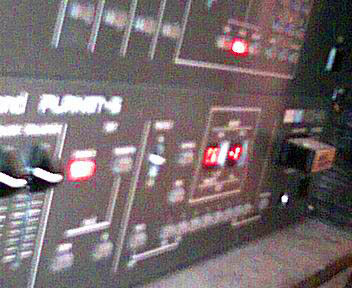 Update Dec 2005 - Uh-oh one of the Oscillators went and the sound stays on!!! Update March 22 2016 - 11 years later !! I finally have my baby back. Even though I ordered some chips and even replaced one of them, other chips went, and I realized I would have to replace them all. But last fall when I was fixing stuff I realized I had lots of 80017 chips maybe I could try the acetone bath again. I broke 1 chip pulling it out and one was a clone, but I wanted to remove them all so I could put sockets in. It was REALLY difficult, but I saved 3 chips and had 4 from the Juno. I bought sockets from China and they took FOREVER to come in. Today I put in the sockets and tried some chips. 5 of 6 worked, I tried another and my MKS-30 was back. There are some really cool sounds on this, I can't wait to start using it more. Update Oct 23 2016 - So it actually wasn't back. Soon one note was sticking on, then another just stopped. I bought 2 chips and replaced them in september only to have another go the next day. I ordered a third chip and put it in so there are only 2 roland 80017 chips left and hopefully they will be OK for some time. electronically Everything is working great. 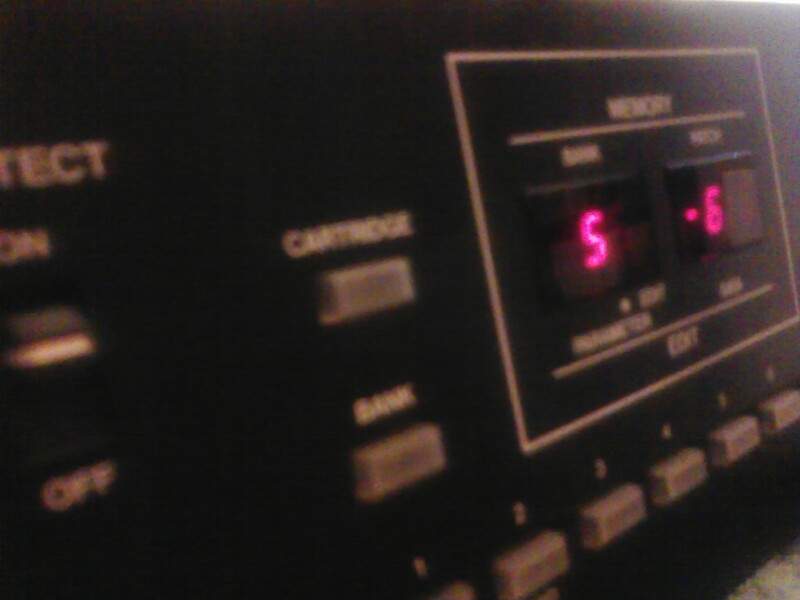 2012:It is set up and in the rack but a second oscillator has died. I now need many D80017 chips! 2008: I at the moment have it set up in my dining room! I am gearing up for a live Beker show, and am practicing as much as possible. But this unit is always powered down, I am saving up for some new osc chips then we will have our planet s back in action. 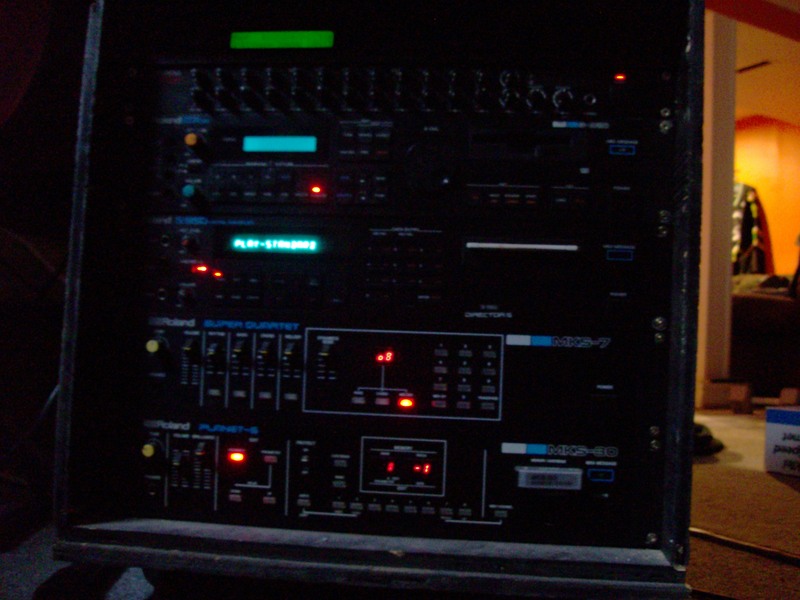 2006: There were quite a few sounds I really liked on this unit, and I really wanted to play with it to make more. Then one of the Osc went, then I moved and there wasn't room for much. I will make the repairs to it, but it will have to wait till I have a place to do them.